Fire Service and Civil Defense job circular 2017 for the post of Driver. 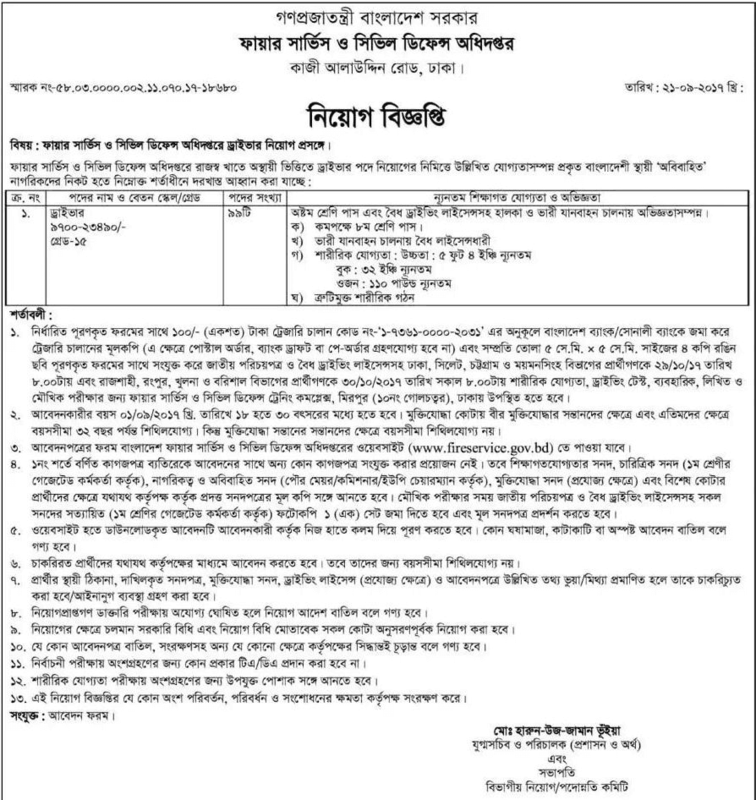 Department of Fire Service & Civil Defence under Government of Bangladesh published a recruitment notice at www.fireservice.gov.bd. 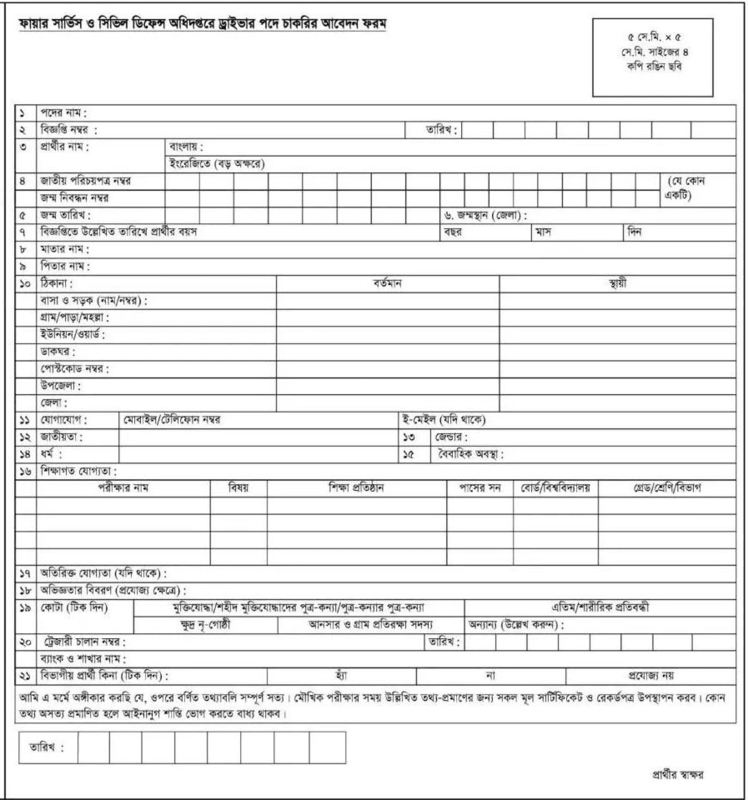 All Bangladeshi who are unmarried can apply for the post of Driver. Mission of the BANGLADESH FIRE SERVICE AND CIVIL DEFENSE is to protect valuable lives and property to make Bangladesh secure and safe. Candidates can apply using offline application form. No TA/DA will provide for attending any examination. All recruitment and quota rules will follow in the selection process. In Authority reserve all right to make any decision in this recruitment process. You will get examination date, time, result and all other information about this job at our website www.careerguidebd.com. Subscribe this website or follow our social network to get information easily.